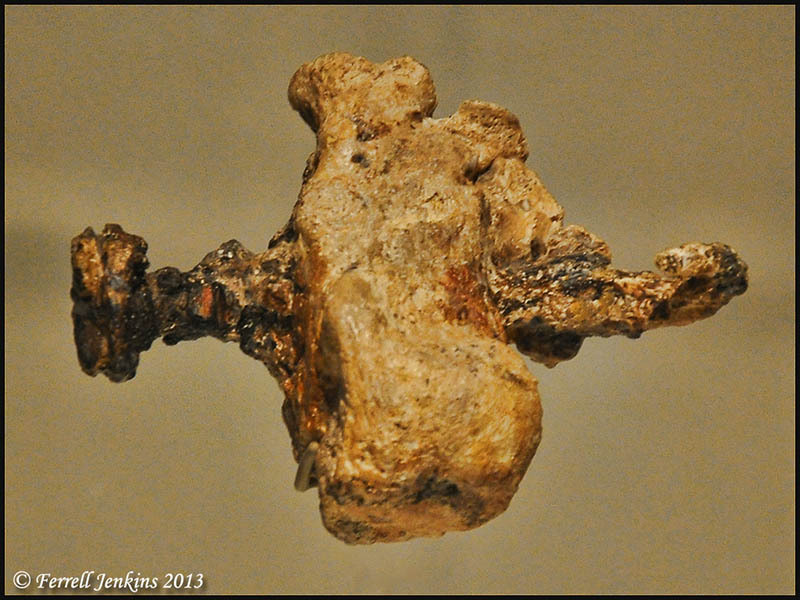 Nail through the heel bone of a man crucified outside Jerusalem in Roman times. Display in Israel Museum. Photo by Ferrell Jenkins. Rock tomb with rolling stone near Jezreel Valley. Photo by Ferrell Jenkins. 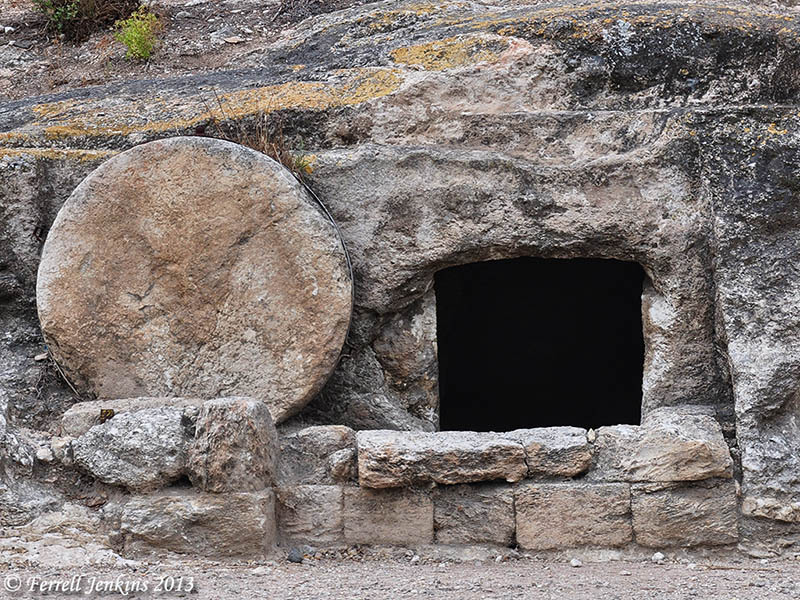 This entry was posted in Archaeology, Bible Lands, Bible Places, Bible Study, Israel, New Testament, Photography, Travel and tagged Burial Customs, Crucifixion, Empty Tomb, Roman crucifixion, SourceFlix. Bookmark the permalink. To show this artifact’s relevance we must look for how it relates to the accuracy of the Biblical text. As I have commented previously, from the beginning when humanity fell in Adam, the “curse on the serpent” provided the promise of deliverance through The One who would crush the enemy’s head and for the sake of humanity would have His heel pierced. Here is evidence of the Roman crucifixion practice of piercing the heel unlike what is often displayed by later artists of what Christ’s death was like. So this artifact is strong proof of the redemptive promise set forth from the foundation of the world. I posted a picture of the rock tomb today also.